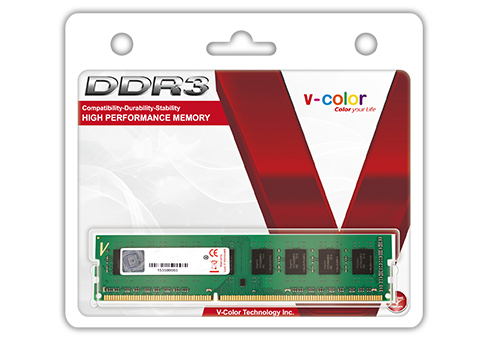 The V-Color Standard Memory Series for Desktop, follow the testing process of High-End Server Memory , featured with Low Power Consumption and High Data Transfer speed, with these advantages, make V-Color Standard Memory Series the best choice for your desktop. 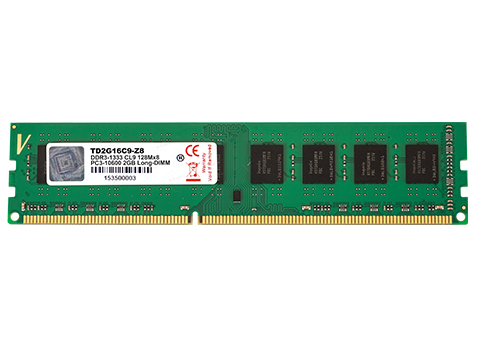 Adaption of original chips, Sorting by Kingtiger Semi-Conductor equipment and, test by various platforms are the three advantages of V-Color Server memory. Adaption of Original chips: the most important issue of Server Memory, not the speed, capacity, but stability. V-Color use original for Server memory only to make sure the best Performance. Kingtiger Semi-Conductor Equipment: as a leading brand of Server Memory, V-Color equips 5 Semi-Conductor equipment for sorting the chips with ultra burn-in test process, this process make V-Color Server memory the best Stability. Various Platforms testing: All the V-Color Standard memory Series are test by various platforms, such as Asus, Gigabyte, MSI, to make sure the best Compatibility. Copyright ©2014 v-color. All Rights Reserved.